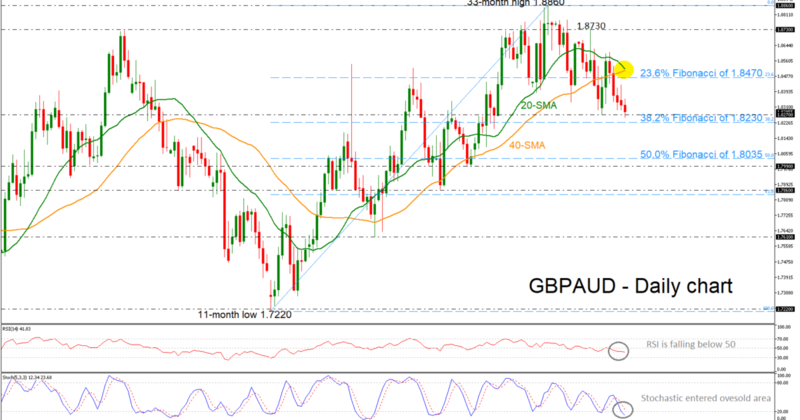 GBP/AUD slips below the bearish cross of the short-term SMA. 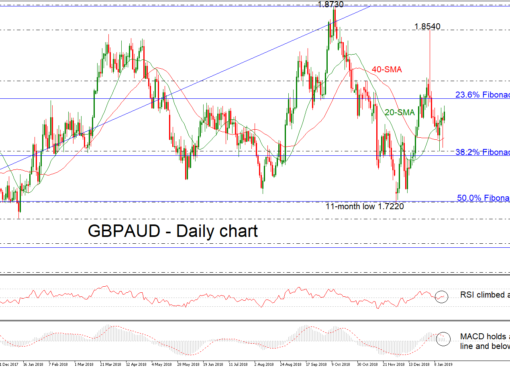 GBP/AUD extended the last four days’ losses and is currently trading not far above a six-week low around the 38.2% Fibonacci retracement level of the upward movement from 1.7220 to 1.8860. 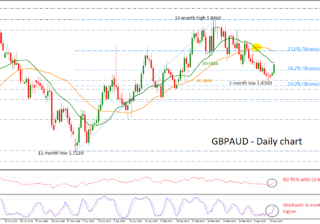 Further declines may meet support near the 38.2% Fibonacci before edging lower towards the 50.0% Fibonacci region of 1.8035. 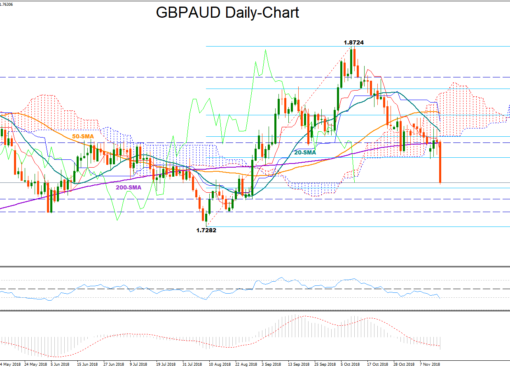 Not far below, support could occur around the 1.7990 level. On the upside, resistance could come around the 23.6% Fibonacci of 1.8470, while next, the price could flirt with the bearish cross within the 20- and 40-simple moving averages (SMA) currently at 1.8500 in the daily chart. 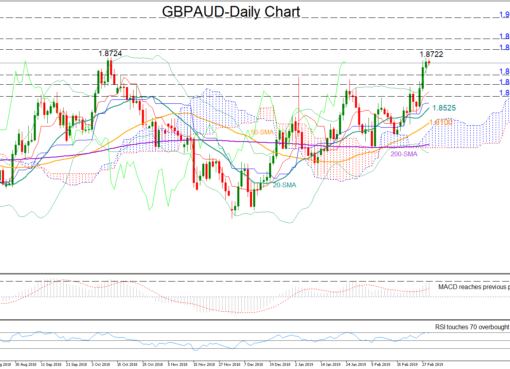 Higher still, the 1.8730 would increasingly come into scope.